Having cited these benefits which have given a lot of could be something positive investments for the Optimum Source management; we are proud to give to you two of Optimum employees from the company’s 50-something demographic. 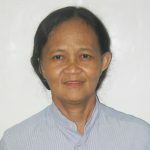 Rowena, who is known as “Ate Weng” within the Optimum family circle, has been one of the company’s admin liaisons for the past four years. 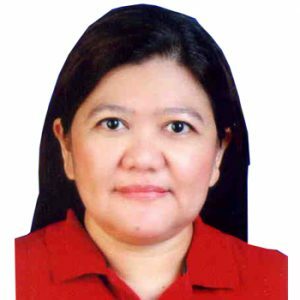 Her workday usually starts with processing transactions in government-run agencies like the SSS and the HMDF. She also does tasks that fuel the continuity of a functioning office like running specific company errands and the purchasing of office supplies. She believes that having a core value of optimism and involvement promotes a solid workplace camaraderie, which translates into enriching and energizing the office. As a parting note, Weng wisely advises her younger colleagues to love their work and be honest in everything they do. Such a way of thinking; however, did not go unnoticed by Optimum Source as she received high scores for her evaluation performance just last year. For more than a decade Jocelyn or Ms. Joy as she is fondly called by her coworkers has singled out candidates for employment. Being the HR Manager, she has made it a part of her job responsibilities to find the best features that will make job hires successful in their roles. Taking a leap of faith and investing time and energy in learning about digital technologies, especially as it has become the means of communication nowadays. In detail, she first started in Optimum Source in June of 2002, and when asked how has she maintained such a vibrant personality in the workplace, she answered, through being “focus” and “enthusiastic” on her responsibilities when performing her wide range of roles. She believes that honesty and transparency is important in dealing with employees, be it the younger set or the older ones. Especially in Optimum Source where mentors can help the younger workers develop practical skills while the latter can share the latest techniques and approaches in the workplace. These promotions of teamwork by achieving shared goals as Joy calls, is further enhanced with company outings which she describes as one of her favorite activities that she yearly looks forward in attending. Visit our career page and join us here at Optimum Source, as we continue to bridge the generational gap not just in the bpo industry!